The Washington Accident BooksTM series is designed to help accident victims in Washington State better understand their legal rights, the insurance claim processes, and how to protect themselves after an accident. 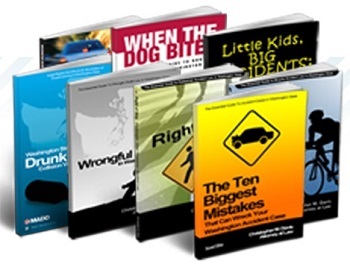 These free books are offered as a public service by award-winning author and attorney Chris Davis of Davis Law Group, P.S. Click on any of the books below to request your complimentary copy. Hardcopy books typically arrive within 3-5 business days.